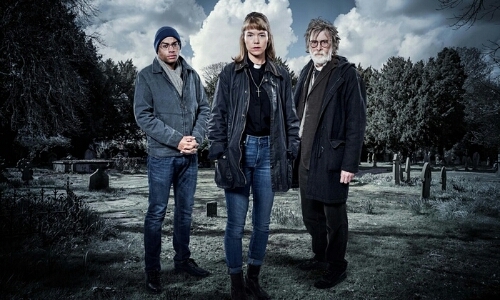 Check out the trailer for new three-part ITV drama, Midwinter Of The Spirit starring BAFTA award-winners Anna Maxwell Martin and David Threlfall. David Threlfall plays Rev Huw Owen, a deliverance ministry tutor and Merrily’s mentor. Midwinter Of The Spirit is based on Phil Rickman’s books and adapted by Stephen Volk (Afterlife, The Awakening). The drama also features Siobhan Finneran, Ben Bailey Smith, Leila Mimmack, Kate Dickie, Simon Trinder, Oengus MacNamara and David Sterne. Midwinter of the Spirit begins on ITV Wednesday, 23rd September.